The U.S. Supreme Court recently recognized the value of a criminal defense attorney in the pre-trial process. Noting that some 94 percent to 97 percent of convictions are the result of guilty pleas, the high court said people have the Constitutional right to an effective criminal defense lawyer during the plea bargaining process. This is a good thing, most lawyers agree. 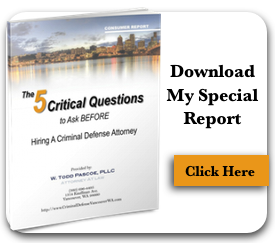 When 19 out of 20 cases – everything from DUI charges to felony murders – are resolved with plea agreements, it’s essential that effective lawyer action is part of that process from the beginning. In a 5-4 decision reached in cases from Missouri, and Michigan, the high court ruled that the Sixth Amendment right to the effective assistance of counsel extends to pretrial stages, including plea bargaining. In one case, the attorney advised his client that he could not be convicted of intent to murder under Michigan law, leading the client to reject a plea agreement that would have resulted in a 51-to-85-month sentence, or between 4½ to seven years. The attorney was incorrect, and the client was convicted on all counts against him, receiving a sentence of 185-to-360 months. That’s a minimum of 15-plus years, and a maximum of 30 years. In the Missouri case, the client was charged with a felony of driving with a revoked license. Prosecutors offered to reduce the charge to a misdemeanor and offered a 90-day sentence. The attorney never told his client about the offers, and the client later pleaded guilty without an offer. He was sentenced to three years in prison.